Giveaway Contest: Win One of Three Copies of Heist! When their attempt to rob a casino owned by the feared gangster Pope (Robert De Niro) goes awry and a shootout ensues, Vaughn (Jeffrey Dean Morgan) and Cox (Dave Bautista) are forced to flee on foot and hijack city bus 657 and take the passengers hostage. Now, in a high-speed chase, Vaughn will not only have to outwit the police who are in hot pursuit, led by Officer Bajos (Gina Carano), but he will have to contend with Pope’s maniacal right hand man, Dog (Morris Chestnut), in order to make it through the day alive. But we quickly learn that things are not what they seem, and Vaughn has more than one card up his sleeve. THERE’S NO SUCH THING AS THE PERFECT CRIME. SANTA MONICA, CA (November 16, 2015) – Academy Award® winner Robert De Niro (Best Actor, Raging Bull, 1980) leads a critically acclaimed cast in the action-packed Heist arriving on Digital HD December 22 followed by Blu-ray™ (plus Digital HD) and DVD (plus Digital) December 29 from Lionsgate Home Entertainment. The film is currently available On Demand. With enough twists and heart-pounding moments to keep audiences on the edge of their seats, this nonstop thrill ride finds one father risking it all to save his only child. 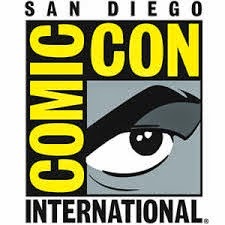 From the producers of Escape Plan, the film also stars Jeffrey Dean Morgan (Watchmen), Kate Bosworth (Still Alice), Gina Carano (upcoming Deadpool), Mark-Paul Gosselaar (TV’s “Franklin & Bash”), D.B. Sweeney (Taken 2), Lydia Hull (Vice), and Tyler J. Olson (Jarhead), with Morris Chestnut (The Perfect Guy) and Dave Bautista (Spectre). 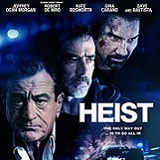 The Heist home entertainment release is loaded with bonus features including interviews with the cast and crew, “The Making of Heist” featurette, deleted/extended scenes, and audio commentary with director Scott Mann, writer Max S. Adams, and actor Jeffrey Dean Morgan. 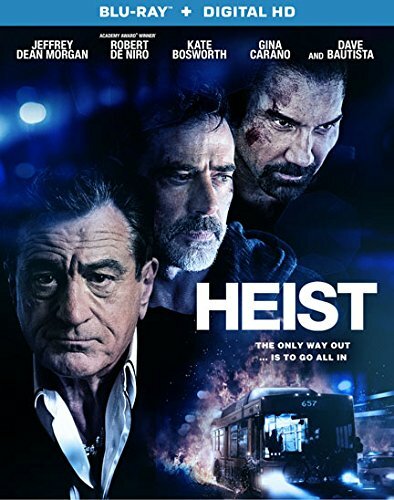 Heist will be available on Blu-Ray and DVD for the suggested retail price of $24.99 and $19.98, respectively. Awesome thanks so much for picking me as a winner.